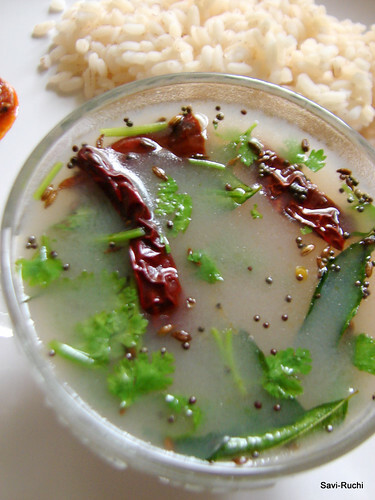 Want to enjoy a meal during sore throat, cold &amp; cough? 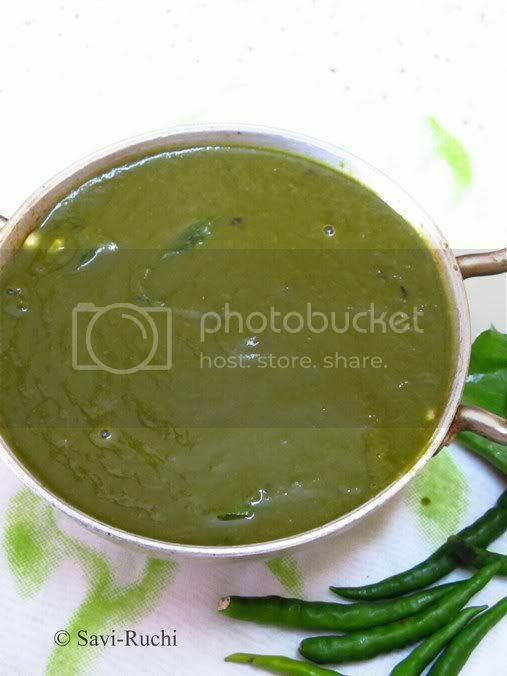 Prepare palak bajji &amp; enjoy any boring meal. It has the perfect ingredients to give a high to your taste buds. Great news about this curry is, when refrigerated it stays up to a month. Amtekayi: 3 nos (Since this is not available outside India, substitute with a medium grape sized tamarind). Wash the spinach leaves along with the stem thoroughly in water. Chop the leaves &amp; the tender stem coarsely. Add less than 1/2 cup of water to the chopped spinach leaves. 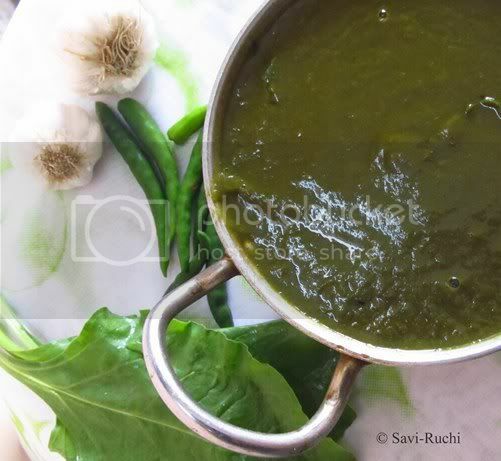 To this add garlic, amtekayi or tamarind, green chillies &amp; salt. Boil on medium-high heat for 10mins or pressure cook for 1 whistle. Allow them to cool. Once cooled, puree the mixture. Heat oil in a pan. 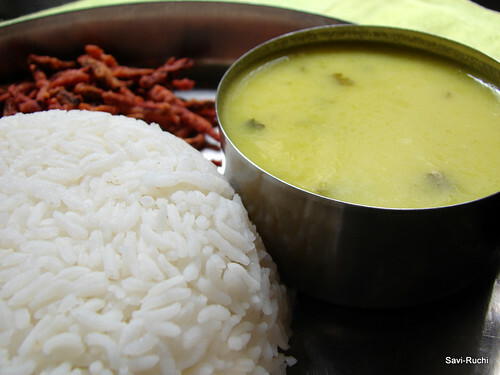 When oil is hot, throw in mustard seeds followed by garlic &amp; curry leaves. Saute till the leaves wilt &amp; garlic turns golden brown. Add the spinach puree &amp; adjust the seasoning. Boil on a medium-low heat for 10-15mins until the flavors blend in. 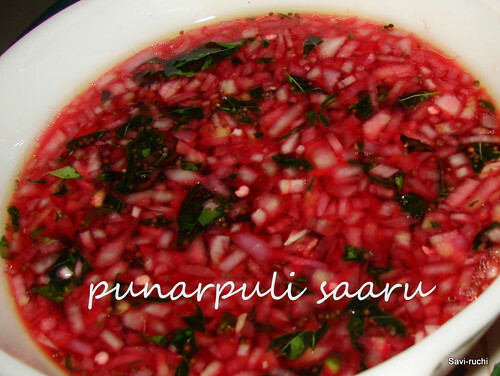 Enjoy with ganji/porridge, rice or dosa. 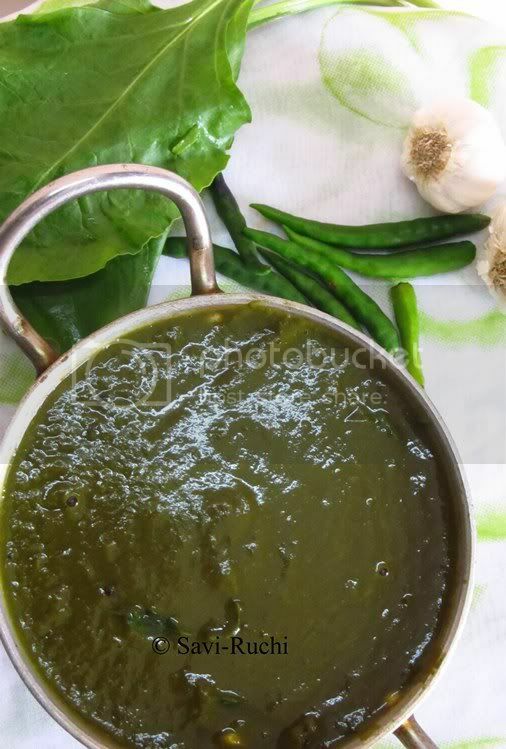 If amtekayi is used: After boiling the amtekayi, squeeze out the juice &amp; discard the hard portion. Ganji/Kanji/Porridge &amp; this curry is a classic combination. Are you wondering that how come a vegetarian blog is writing about meat? 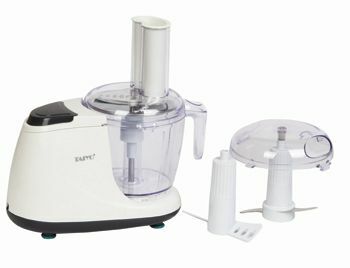 That is the name of the chopper that I recently invested in chopping vegetables. Sounds contradicting!! I went with the words of my friend here &amp; bought this chopper. I am so far happy with it. When I wrote about my chopper here, many of my friends asked me to share the information. So, here I am writing about it. Now coming to my listed pros &amp; cons. Slicing + grating of carrots, cucumbers: very good &amp; can be done within seconds. Mincing + shredding + chopping very fine, great. Watery vegetables like tomato &amp; cucumber could also be chopped. Cleaning of the jar is very easy. Was not able to chop green leafy vegetables. I did not find it useful for making stir-fry/poriyal/palya because it doesn't cut the way we need. Note: This is not a paid review. My friends asked for the details of the chopper, so I wrote it for them. My blog is getting a back seat because of other higher priority tasks. I really want to get back to blogging in full swing. Hoping to settle all the other tasks in another couple of weeks. 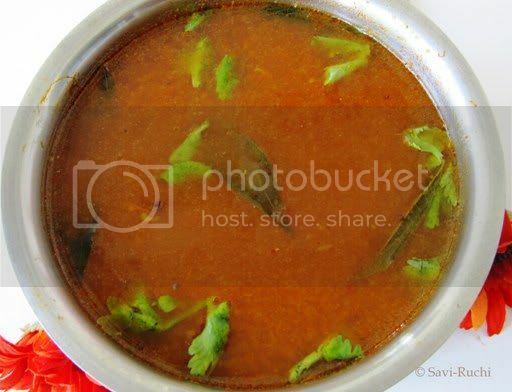 So, thought of taking a sneak-peak of some of my popular rasam recipes. Do try if you haven't tried them yet!